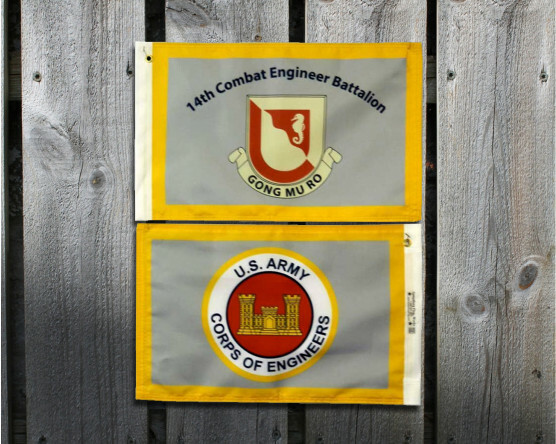 Custom military flags and banners can be made to represent your branch, regiment, brigade, unit, or to honor a family member's service. 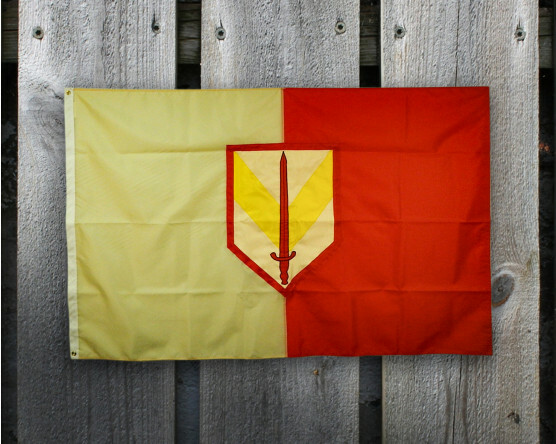 Choose from several custom processes to make your flag or banner show the pride that you've felt. 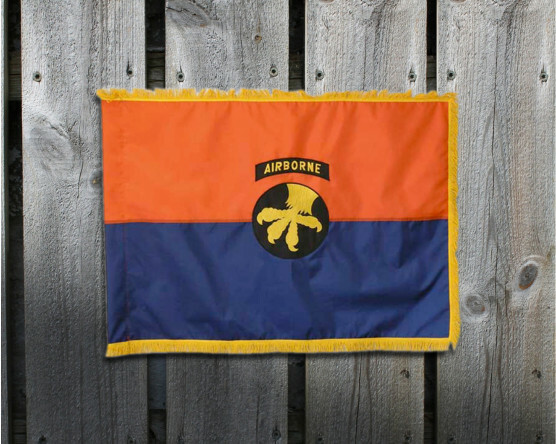 Create a thoughtful, customized gift for an active duty soldiers or veteran. Need a little help on the design? Our graphic artists are here to help. 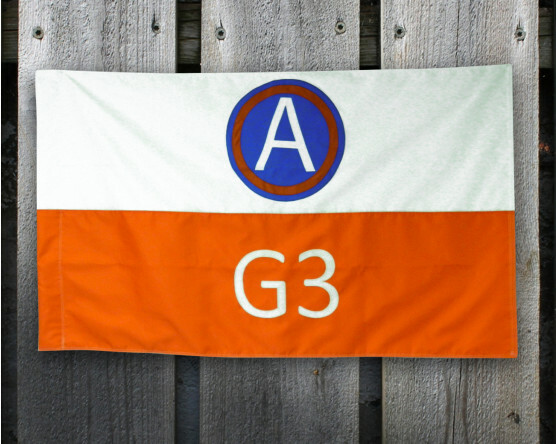 Gettysburg Flag Works is proud to offer customized military flags for many different uses. 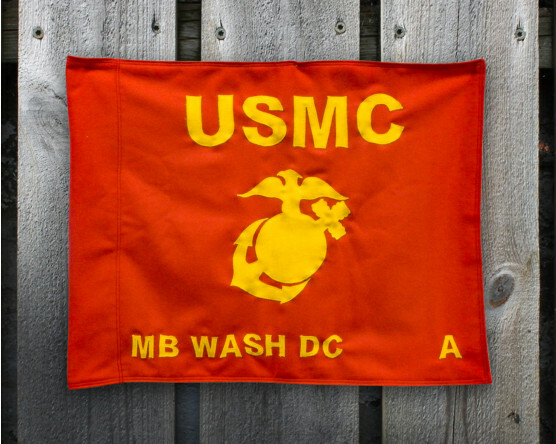 We make high quality batches of flags for the military or for reunions and events. 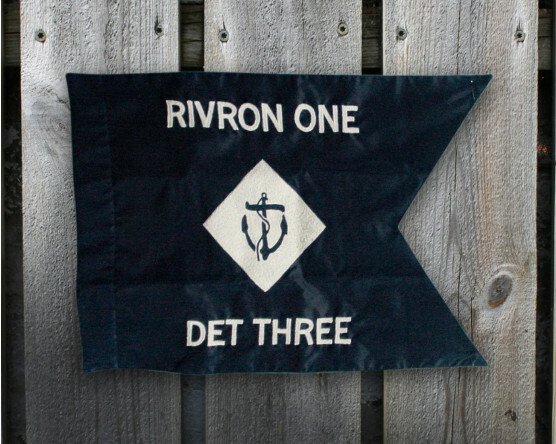 We can do a single custom flag for your home or to give as a gift. 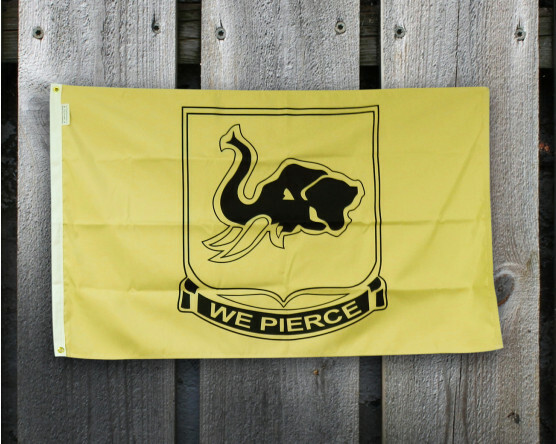 Have your custom flag made in America, by people who understand the pride and quality that need to go into it. We honor the service of our brave service members both past and present. 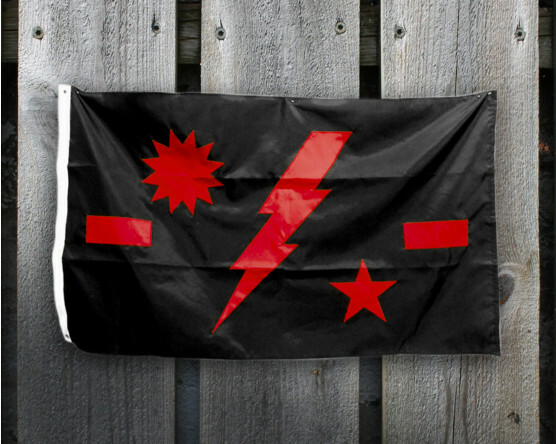 Order a special, personal, flag for your family member. 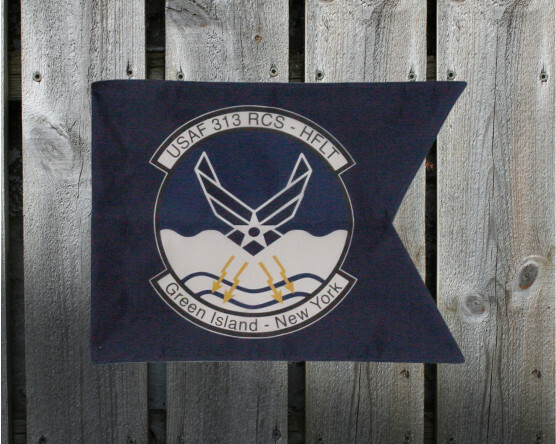 Whether it's a special size or a unique flag that you can't find already made, we're your source for a quality flag to honor the service of your loved one. 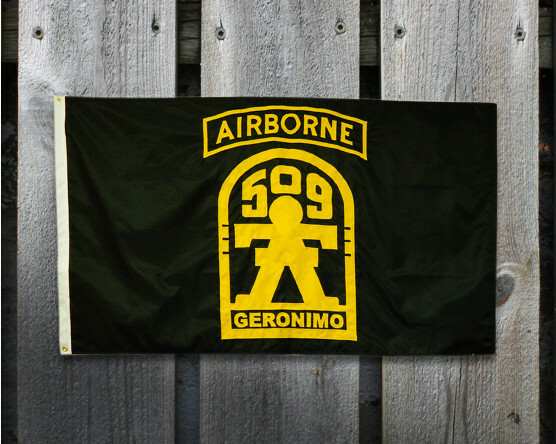 Add a name, date or rank for a truly personal service flag. 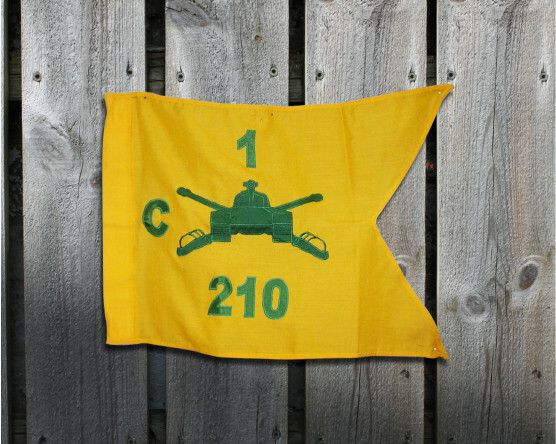 Our customized military flags make great gifts for active duty soldiers and veterans. 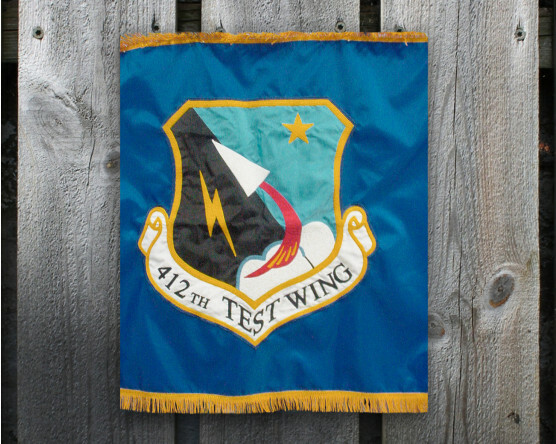 How Are Custom Military Flags Made? 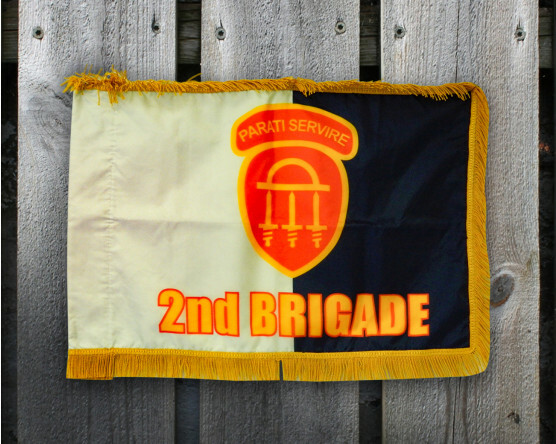 Custom flags can be printed, embroidered, appliqued or made with a combination of those processes. 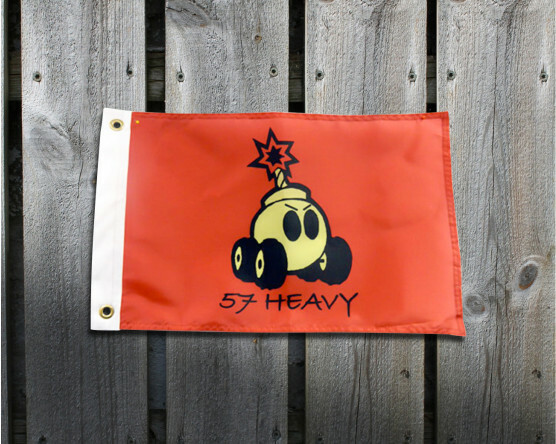 For very detailed designs or photographic images, we'd recommend a printed flag. Applique is a process where the design is sewn in several layers of colored fabric creating a quilted look and feel. Embroidery is a premium, luxurious way of making a flag with decorative stitching. 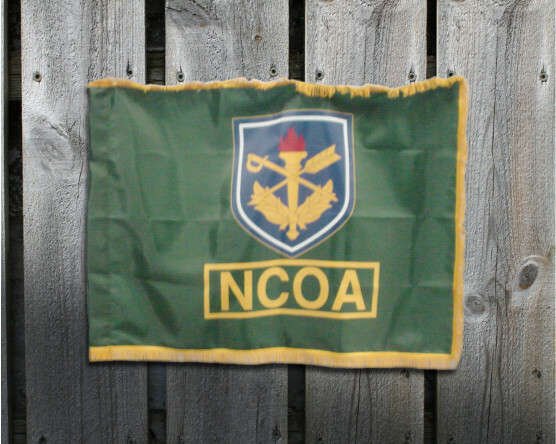 For a recommendation on process and a quote for your new custom flag, give us a call at 1-888-697-3524 or request a custom military flag quote. 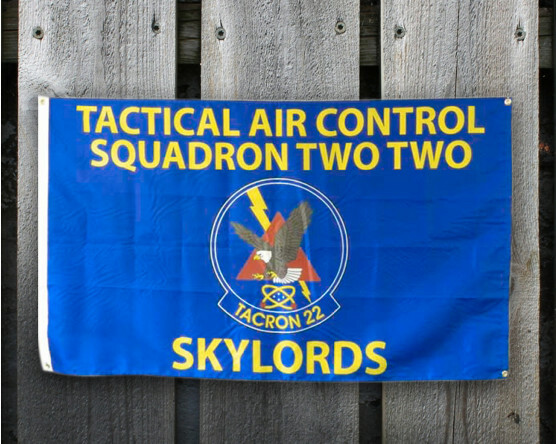 Order Your Custom Military Flag Today! 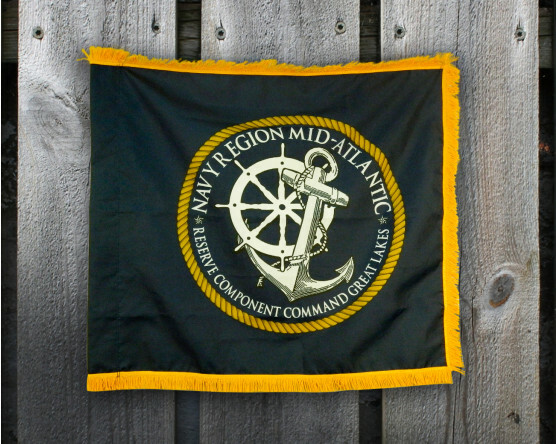 Browse our custom military flags portfolio, then place your order for an American made customized military flag today! 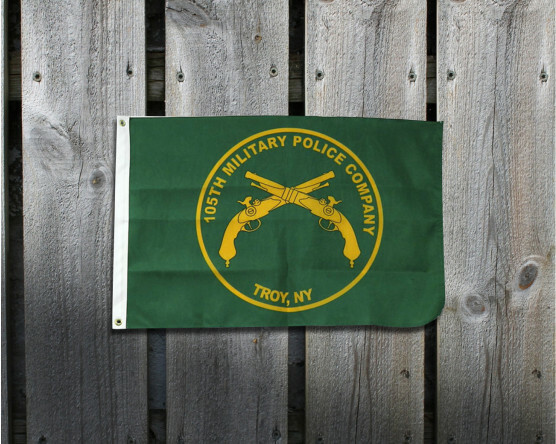 Looking for other products to compliment your custom military flag? 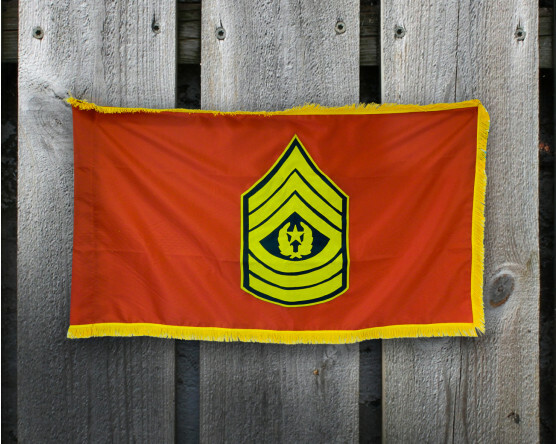 Be sure to check out our selection of military flags and American flags, as well as our selection of gifts for active duty soldiers and veterans.